Our previous domain address 'desktopit.com' fraudulently being used by some unscrupulous person. All our valued clients are advised to use our current domain and please note that we have no affiliated company under the name of "DESKTOP IT". For any query please contact Khondoker Arifur Rahman, Executive Director, email: arif@desktopcomputer-bd.com , Phone No : 01720012715 or Syed Amirullah, Executive Director email : amir@desktopcomputer-bd.com , Phone No : 01716315935. Thanking you Borhan Uddin, Managing Director, Desktop Computer Connection Ltd. Desktop eBanking is fully integrated branch banking software developed locally by Desktop. This banking application software is currently running successfully at 225 branches in various locations of Janata Bank Limited, Sonali Bank Limited and Bangladesh Krishi Bank the largest three nationalized Banks in Bangladesh. Desktop eBanking has been transported to the latest and the most recommended state of the art Microsoft Platform. As the financial institution evolves and grows to meet today’s challenges, it must ensure that its core business processes operate efficiently and take full advantage of the latest technology. Using the latest technology, “Desktop eBangking” has been designed to meet the challenge of a new banking age. 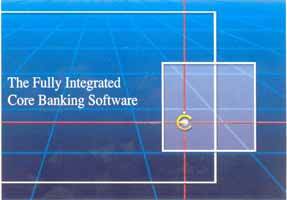 |Desktop eBanking Software is an integrated, multi-user, multi-tasking, multi-currency Banking Application Software. Desktop eBanking Software has been developed following the instructions and security recommendations by the central bank of Bangladesh. Security: The software has no fixed level of password protection. The bank authority can define a package of modules that an user might have access to. Audit Trail: Desktop eBanking has a comprehensive audit trail to provide operational security and integrity. Customization and Parameterization: This application software is easily customizable. The software has the facilities to create/introduce a new module/product in deposits or in advances, if required by the bank without changing or modification of and other customization ability. Internet Banking: Desktop eBanking Internet Banking module allows the account holder to see present balance, status of a cheque deposited, print account statement etc. Flexibility: The software is open-designed (can add new module) for group code, multicurrency account, creation of new type of deposit/advance scheme at user level etc. User Facility: The software is user-friendly and online help is available for all fields. The software maintains complete cash control for each teller, in case of the user is a teller. It prompts the user for all kind of incorrect entries and offers error-message for the corresponding error. User can retrieve information regarding an account holder, even the teller does not know the whole name of the client. Desktop-IT’s developed integrated branch banking application software ‘Desktop eBanking’ is now successfully running at 245 branches of Janata Bank Ltd. 326 Branch of Sonali Bank Ltd. and 55 Branches of Bangladesh Krishi Bank, the largest three nationalized banks in Bangladesh Recently Desktop IT has been also awarded another 100 Branches of Sonali Bank Ltd. under second phase and 112 Branches of Janata Bank Ltd.. to computerize with Desktop eBanking and HP/IBM Hardware on turn key basis. The software is developed on the state of art Microsoft Technologies as well as on Oracle database platform and all modern banking features are now being incorporated in Desktop eBanking to develop this as an international standard core banking application software. Desktop IT achieved ISO 9001:2000 certification in 2003 for Software Development, Design, Marketing and Maintenance. 146/2A, New Baily Road, Dhaka-1000. � Copyrights 2017 Desktop Computer Connection Ltd., All rights reserved.